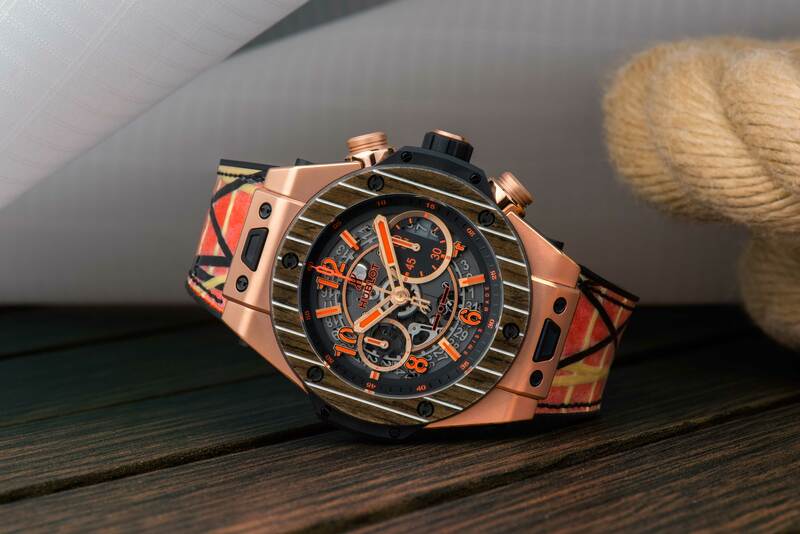 Hublot has launched the third edition in its partnership with the design house Italia independent and its founder Lapo Eikann. 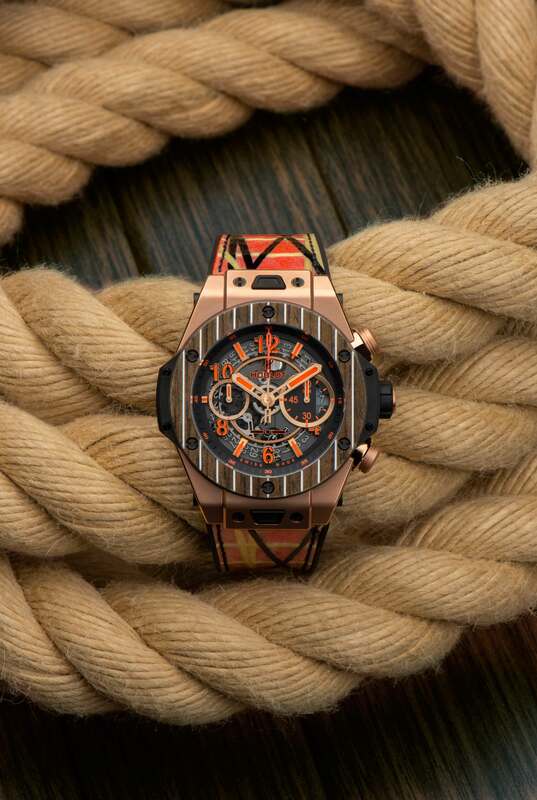 Having worked in high tech materials and classic textiles in their earlier collaborations this watch features the warmth of teak and a nautical motif. 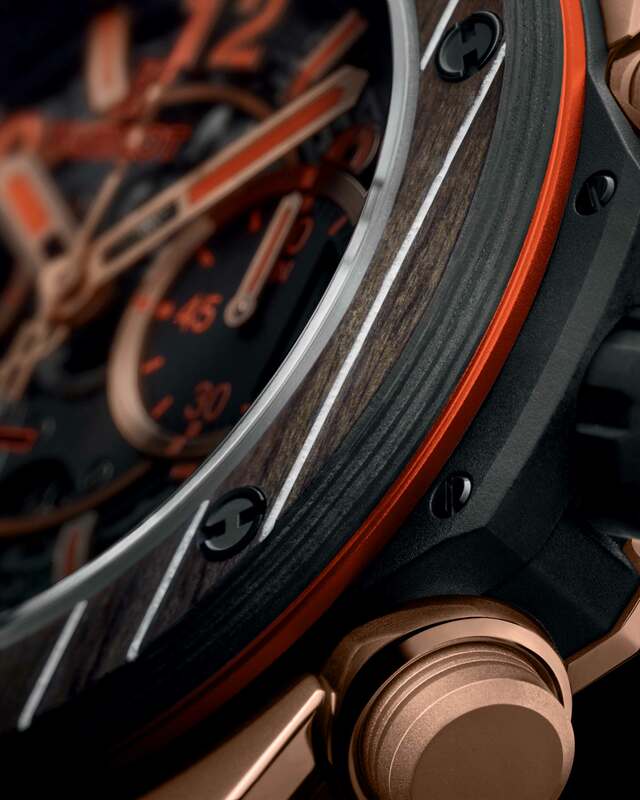 Appropriately announced on the island of Capri, the Big Bang Unico Teak Italia Independent will be released in 100 pieces. The watch reflects Lapo's passion for yachting and innovation, and honors his grandfather Gianni Agnelli. 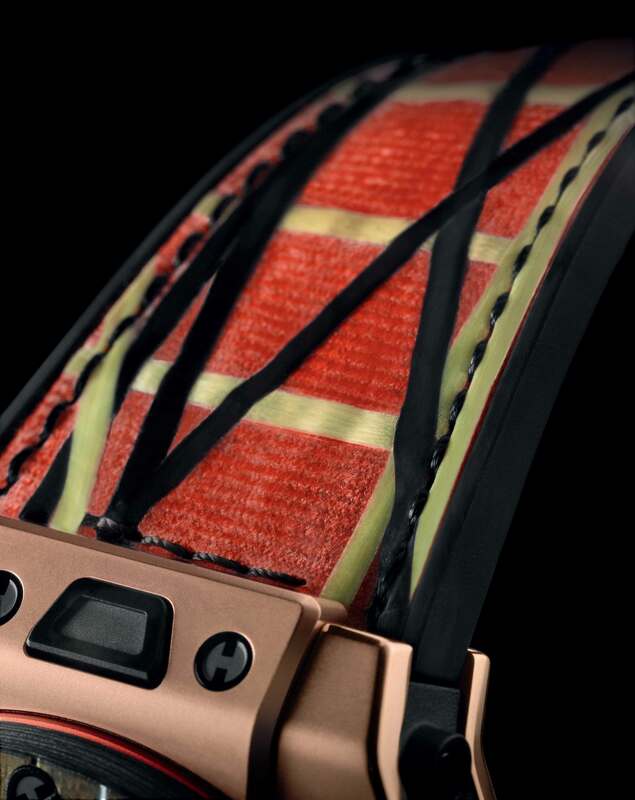 Gianni introduced Kevlar and aerodynamic design to yachting. One of his yachts was the first to win America's cup for Italy. Another of his designs had a hull stained a warm golden color which is recalled in the King Gold chosen for the watch case and pushpeices. 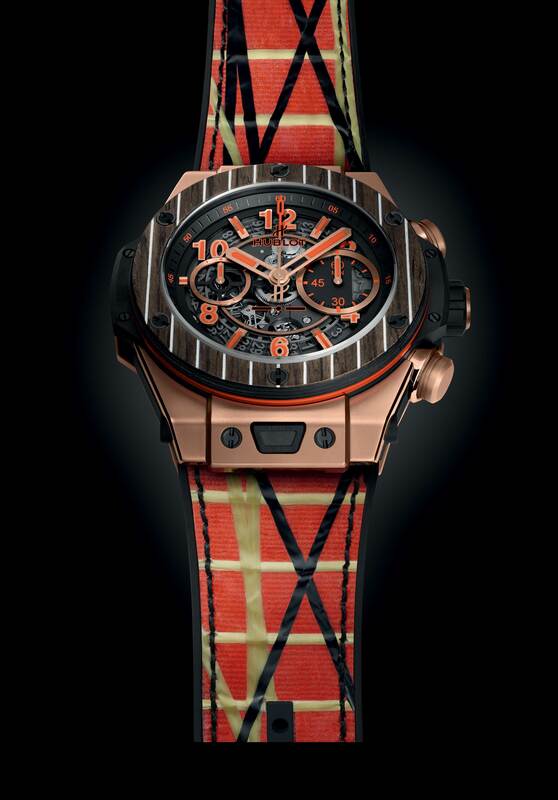 The dial indexes are in orange. 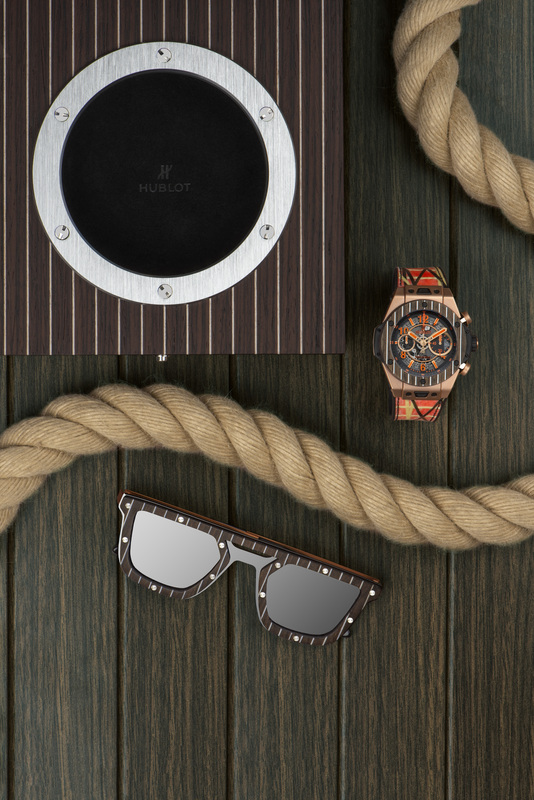 The bezel is cut from teak, a wood used extensively on the finest yachts.